With a another fine day in the offing, this one with only a very light breeze, things were looking good for a bicycle trip. Yesterday, after our visit to friends, we called in at Beaulieu, home of the National Motor Museum of Lord Montagu fame. Our stop turned out to be little more than an excuse for another ice cream. There was, however, a footpath covering the two miles to Bucklers Hard. Had the day been less advanced, we’d probably have wandered down but we left it for another day. Today, Bucklers Hard looked like a fine target for a bike ride, looking a little over 10 miles from our campsite. Navigation Officer Francine selected a route combining some of the New Forest bike tracks and quieter side roads and country lanes. We set off and, after a very pleasant 12 miles, arrived at Bucklers Hard at 12:15 PM in excellent time for a spot of liquid refreshment or two at the Masters Arms, the local hostelry. 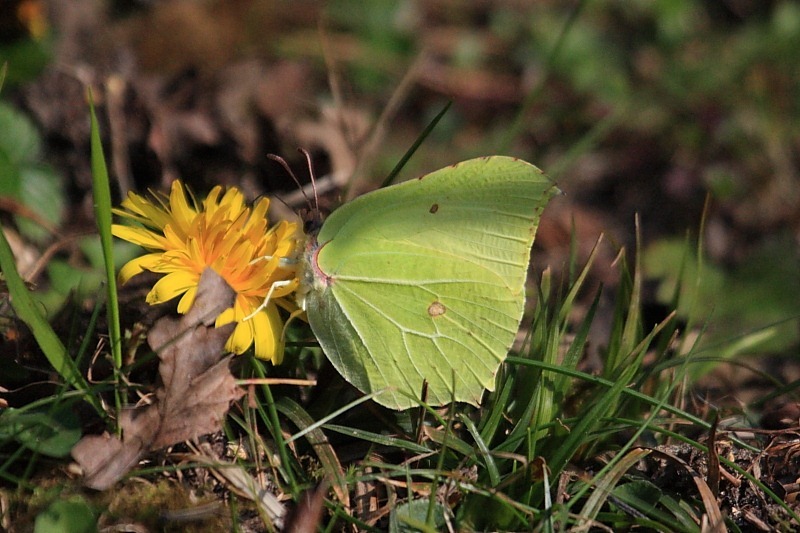 En route I counted at least half a dozen Brimstones and what I suspect was a Small White. Spring is definitely here when the butterflies are back. Just for the record, here’s my first butterfly snap of 2011. “What is Bucklers Hard?”, I hear you ask. Well, these days it is little more than a very pleasant waterfront tourist attraction, though it does have a marina for big boys’ toys on the Beaulieu River upon which it sits. What it was was a late 18th and early 19th century shipyard. It is not enough that we Francophiles come here and wear Wellington boots that daily remind us of defeat at Waterloo but we also set out to visit the birthplace of several of Admiral Lord Nelson’s ships of the line that smashed the combined French and Spanish fleet at Trafalgar. Mon Dieu! 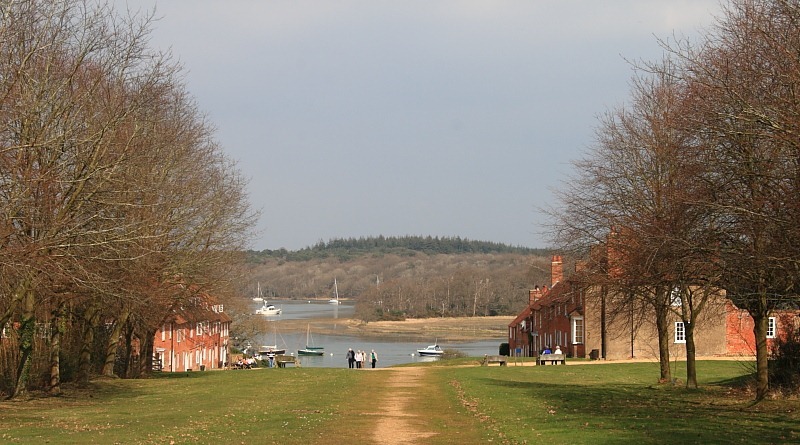 There were several slipways for ships at Bucklers Hard which, given its proximity to the New Forest, was admirably situated for wooden shipbuilding. I’ve read elsewhere that the larger wooden galleons required some 2000 oak trees to construct. Perhaps this explains why sizable parts of the New forest are now devoid of trees? Apparently, the shipbuilders liked to construct one large and one smaller ship in adjacent slipways so that timber off cuts from the construction of the larger ship could be used in the construction of the smaller ship. Clever, no? Hard = a road leading down across a foreshore. How’s that for educational? 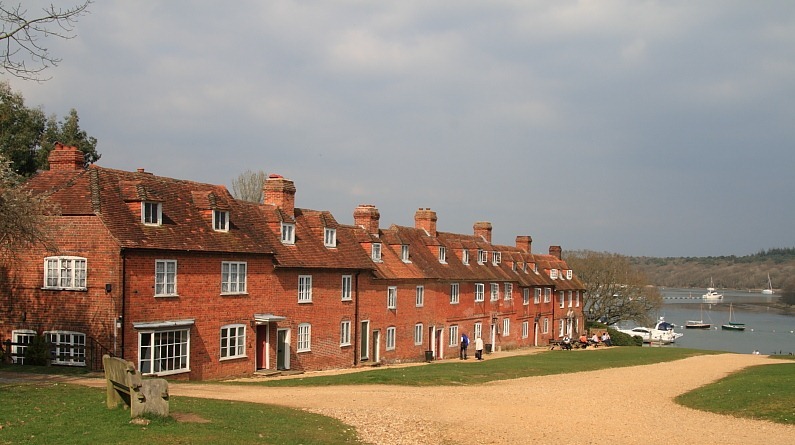 Here’s a couple of shots of Bucklers Hard showing what they might mean. After a couple of pints of the excellent local Forty-Niner (4.9%, a decent strength, thankfully), we wound our reluctant legs back up for the return 14 miles route.